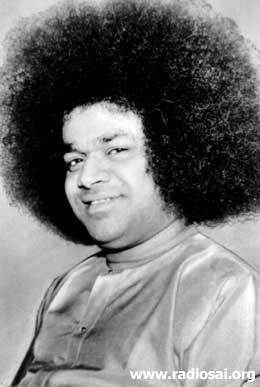 This is the eighth installment of the wonderful recollections of Mr. Chidambaram Krishnan, a long-time devotee of Bhagavan Baba who came to the Lord under somewhat unusual circumstances. In the previous episode , we ended with Swami dramatically saving Mr. Krishnan from murderous assault, literally at the last minute. In this, the eighth installment, Mr. Krishnan recalls a more recent and poignant incident concerning a serious leg injury, how he escaped from a Nursing Home where he had been admitted for amputation and dragged himself to Puttaparthy and what happened there. Read on. At that instant, Jaffer came into the room, and seeing the Manager yelled, “You evil fellow! Even if we were misguided and wanted to attack the boss, how could you so selfishly abandon him?” Jaffer was so mad that he actually wanted to beat up the Manager but I prevented him from doing that. I was in Ceylon for nine days during which period Jaffer took care of everything – driving me around, bringing me food, having my clothes laundered and so on. He was really very helpful. All this is clearly stranger than fiction. 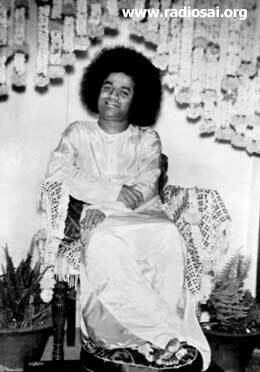 I went into the details just to illustrate how dramatically Swami can bring about a miraculous change, transforming a potential murderer into a friend, in a fraction of a second. There are so many such instances I can recall. When I heard this, I too was amazed. When I discussed this matter with Swami, He warned: “Don’t be nosey and go to the Trademark Office in Ceylon to make enquiries. Just mind your business and leave everything to Me. Understand?” Well, I must confess I do not understand how He did it, but it was a fact that He did. Just to substantiate this statement, let me now describe how Swami saved me yet another time from a very gruesome fate. It all started the day after Sankranthi. 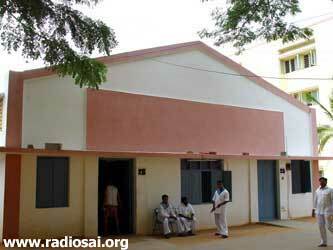 My son Manohar had a small house in Tirunelveli that he rented out. Two months prior to Sankranthi, the tenant vacated the house. There were many plants in the compound but since there was no one to water them, they began to wither. I went to Tirunelveli and when I saw the plants drying up, I began to water them myself. I did so for four days. On the fifth day, I could not do the watering because there was no electricity to run the pump – there was a power cut. I went back at night when there was power and started watering the plants. I did so for a long time and it was 3:30 a.m. when I was through. I was satisfied and happy. That was when I saw a plant full of beautiful hibiscus flowers. I said to myself, “Why not collect some of them for Puja?” So saying, I went to that plant and started plucking flowers. It was still quite dark, and I could not see clearly. As a result I slipped and fell into an eight-foot deep ditch, full of water pipes sticking out here and there. As a result of the fall, I was badly injured and suffered many fractures. It was just horrible and painful too. Somehow, I managed to pull myself out of that ditch – I simply do not know how; but I was out. I then discovered that my feet were so badly injured that I just could not move anymore. I was stuck there, wondering how I could make it to my son’s house. It was now around 3:45 a.m. Just then, by God’s Grace, an auto rickshaw came that way. I signaled to the rickshaw to stop and told the driver, “Please can you take me and drop me off at my son’s house?” He wanted to know where the house was and I gave the address. He took me to my son’s house and dropped me off. Seeing my condition, he refused to accept payment. He could see huge blood stains and that I was badly injured. My son was shocked to see my condition and rushed me to an orthopedic doctor. The doctor examined me and then told my son, “Your father has a sugar problem. I am afraid I cannot treat him. Take him to a more experienced doctor in town.” But that did not help and my son started phoning the big hospital in Vellore and also clinics in Madras. A doctor in Madras said to my son, “Bring him by flight to Madras to my clinic.” So they took me to Madras but that did not help me in anyway. In fact, the treatment that the doctor gave made my condition worse. My condition was deteriorating and the Madras doctor told my son, “I am afraid I have to amputate the leg; if that is not done, your father’s life will be in danger.” When I heard this, I was taken aback. I simply could not consider a life without my leg. My sons assured me, “Don’t worry, father, we are there to take care of you. You mean a lot to us.” They applied a lot of pressure on me to agree to amputation but I was not too keen about it. Somehow, I wanted to live and with my leg. Finally I said, “OK, we have discussed it. Now all of you go to the hotel where you are staying and come back in the evening. We shall talk more then.” My sons then left, leaving me to rest. I was thrilled and said, “I shall pay you whatever you ask.” He grunted, “It is enough if you pay me a hundred rupees.” I was happy to hear that because as you know, I did not have a lot of money. In fact, all the time I was praying to Swami that the driver would not demand an unreasonable amount. After all, I needed enough money to go to Puttaparthy. I did not bother about what would happen after reaching Parthi; at that moment, my mind was focused entirely on somehow reaching there. I had the blind faith that once I reached Parthi, things would somehow work out. I simply replied, “With all the problems and the uncertainties, I prefer to go to Puttaparthy than staying at home. 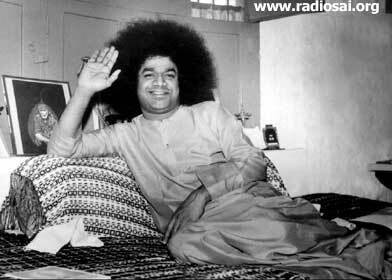 I have infinite faith in Sai Baba.” The co-passengers were not at all convinced but remained silent thereafter. The bus reached Puttaparthy and somehow I managed to get out of the bus. I dragged myself to the Accommodation Office. Luckily, they did not notice the condition of my leg and gave me a place in shed number 26. Painfully, I dragged myself to shed 26 (picture on the left). The moment they saw me, the inmates there became both scared and angry. They said, “Listen! You ought to be in the Hospital! What do you mean by coming here?” I did not reply. I simply withdrew to a corner and lay down. Sometime later, I dragged myself to the bathroom, cleaned myself and managed to crawl to Darshan. The pain was unbearable but I did not allow even a gasp to escape my lips. The man was shaking his head. He muttered, “I have seen many people come here. When they become sick, they go the hospital. I have never seen anything like this. Oh yes, I have read about such things happening, but actually seeing something like this? Never! I am amazed." "But wait a minute. This decrease in swelling might just be temporary. It is quite possible that tomorrow it might go up again and even become worse.” However, despite his doubts, he allowed me to stay in the shed and did not send me off to the hospital. The last several months, we have been carrying English translations of the transcripts of video recordings made last year during Mr. Krishnan’s visit to our studio. Mr. Krishnan spoke in his native language Tamil. The narration was then translated into English, entered into a computer and processed for publication in H2H. We hope you enjoyed this series. 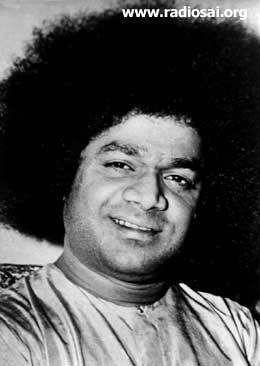 While this installment brings to a close the present series by Mr. Krishnan, we assure our readers that we have many such recordings in our archives and when we have the resources to prepare them for publication, we shall, without fail, help you to share the thrilling experiences of devotees who have generously shared their memories with us. Thank you for joining us in this series. Jai Sai Ram.